I’ve been knee deep in all this streetwear evolution for a while now. Having a blog is the best way to stay in touch with the all the different styles and proposals from all the brands and it goes without saying that this is the best aspect. 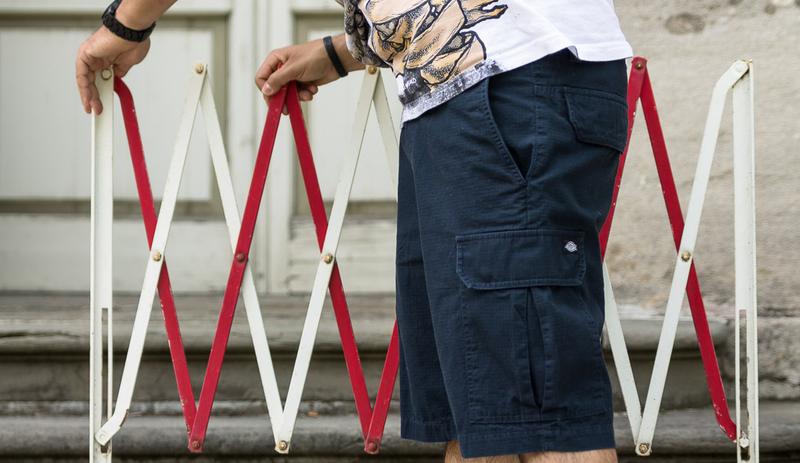 For what concern shorts I have posted pretty much everything here: from jorts (jeans shorts) to versions made of light fabric so comfortable during the summer and even a few boardshorts. 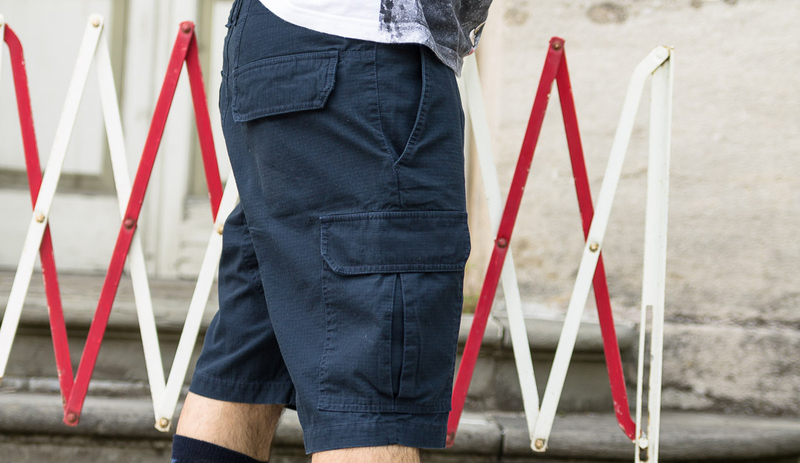 One thing is clear in my mind now: no matter what is en vogue, nothing beats a good cargo short by Dickies. 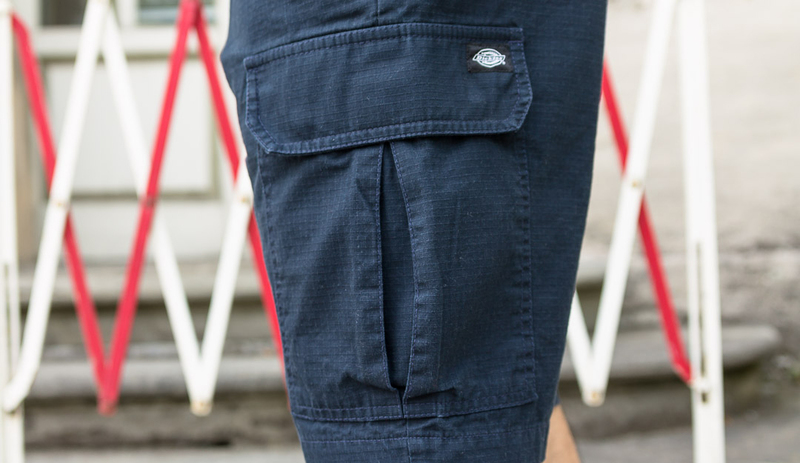 Not having a jacket in the summer makes it complicated to carry keys, wallet, cigarettes, smartphone and whatnot so an item like these New York shorts is vital in this period of the year. Made of the toughest ripstop fabric that can be washed over and over to only look better with time, with back pockets closed by flaps with press fasteners. 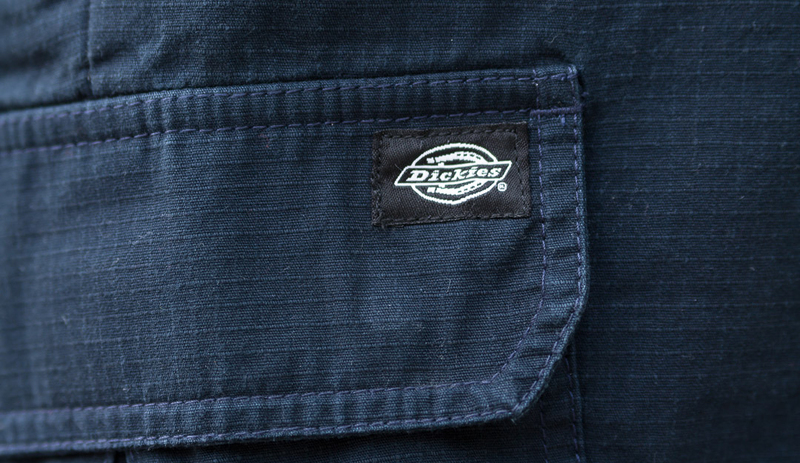 this Dickies item is the result of almost a century of excellence in workwear. The only difference from “another workwear brand” is that this piece does not cost like it’s a boutique item. It’s not a matter of price but a matter of value. Get the most convenient quality/price rate at Blakshop now that these shorts are on sale and rest assured: you will wear these even the next Summer and the following one. To enter the world of authentic workwear just make sure that your shop owner calls Blue Distribution to deal in Dickies and remember: classics are never out of style! Pictures courtesy of Maurizio Milesi.